This site has been up for over a year and is still being updated, so keep checking for new stuff. This month's poll is up. Yeah, finally! Scroll down this page to see the winner of the 'Best Roswell Season' poll. Be sure to email me at: Rel3M@netscape.net to make your vote count for the new poll: 'Who's the Best Match for Isabel'? 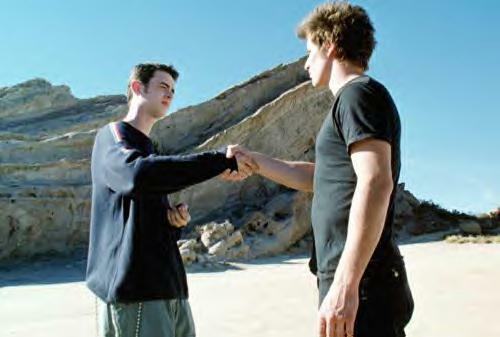 Congratulations to Nick Weschler for being the only Roswell cast member nominated for TCA 2002! JUST UPDATED: Pictures added to Liz's journal entries. They can be found in the Crashdown Corner/Quizzes section. Tess killed Alex, Tess is evil!! Welcome to REL's (with help from Rebecca) Roswell website! On this site we'll include everything about our favorite TV show, including episode reviews, cast biographies, links, fan fiction, and more. Enjoy! Without any doubt was the best! Not a big fan of three except for the final few episodes! I would defineately have to go with season 1. It was so addicting. I loved it! P.S. Alien Human Luv, I Luv your site! Good work! Send in your response to Rel3M@netscape.net to make your vote count! The winner will be displayed by March 27. Sorry about the delay for the previous poll. I promise this next one will be posted on time. Want to purchase Majandra Delfino's CD: The Sicks, or buy fan merchandise? The TV show, Roswell, is based on the event that took place in 1947, in Roswell, New Mexico. It is rumored that a space ship crashed there. The government tried to cover up any suspision by saying it was a hot air balloon. 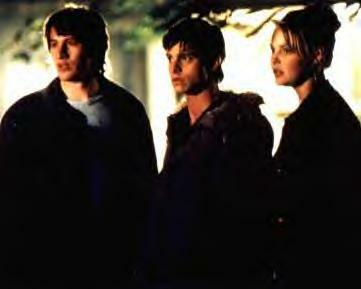 Roswell, the tv show, features three teenage aliens, Max Evans, Isabel Evans and Michael Guerin, who survived the 1947 space ship crash. The aliens have human friends, Liz Parker (Max's wife), Maria DeLuca (Michael's girlfriend), Jesse Ramirez (Isabel's husband), and Kyle Valenti. The Crashdown Cafe is the local resturaunt in Roswell, where Liz and Maria work. (See Crashdown Cafe/Quizzes page for more info) The show features the adventures the aliens and humans have together. Roswell is no longer on the air. For it's first two seasons, it appeared on the WB. For it's third and final season, it was on UPN. Reruns of it will be shown on the Sci-Fi Channel January, 2004. Click to hear to let us know what you think of this site! 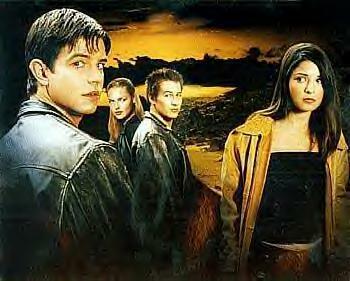 Re-runs of Roswell (starting from the Toy House episode) will be aired on January 5, 2004 from 11:00am to 4:00pm on Sci-fi Channel. Reruns will also be aired on January 29 from 11:00am to 4:00pm on Sci-fi Channel. 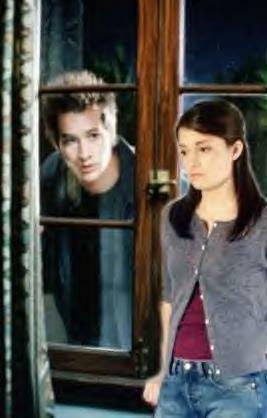 The Roswell First Season DVD will be released in stores on February 17, 2004. They can be pre-ordered on Amazon. Want to talk to other Roswell fans? Go to this message board and post and chat about your opinions. Plus, if you want to chat about movies, television, music, click here.